Telephone House on 2nd and National before an arsonist burned it down in 1986. This intersection is nowadays considered the crossroads of Walker's Point, as well as the epicenter of LGBTQ nightlife since the club La Cage opened in 1984. View from the outdoor patio of Kruz bar on National Ave.
Jerry Stinson (center) and James Dorn (right) at Your Place in 1966. The Nite Beat's first location, which opened in 1959. Now the Drink Wisconsinbly pub, this building on National Ave. used to house the gay bar Triangle, (opened in 1987) and the lesbian D.K. 's Bar before that. The Walker's Point neighborhood is just south of Milwaukee's Third Ward. 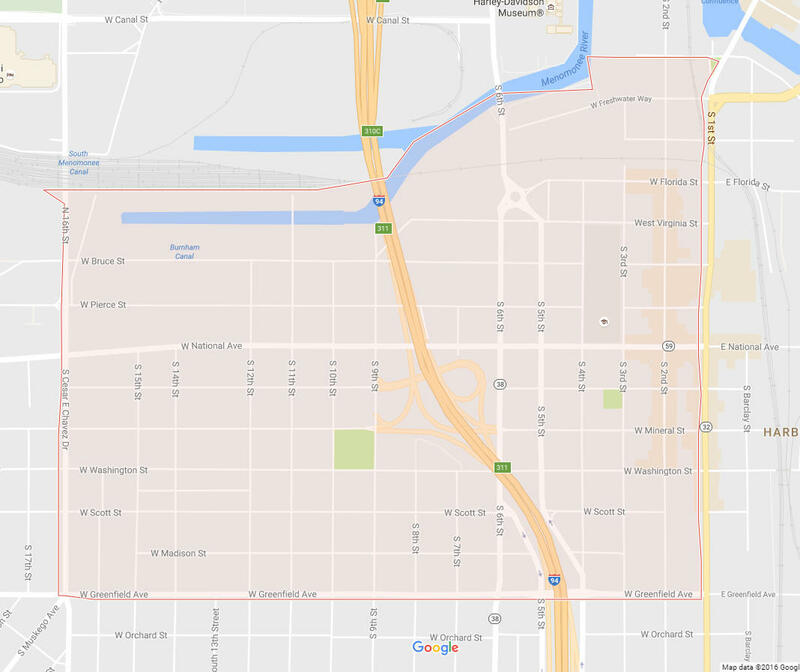 Before we dig into the history of Milwaukee's gay community in the neighborhood just south of the Third Ward, we need to consider how neighborhoods are defined. If you think the population identifies a neighborhood, Walker's Point is mainly Hispanic. However, if you view businesses and the communities they serve as the neighborhood, then that’s a different story that goes back to downtown post-World War II. “The original ‘gay neighborhood,’ if you would, was the 400 block of North Plankinton," says Michail Takach, author of LGBT Milwaukee. This neighborhood was home to the city's first "known" gay bars. It was filled with of the vacated warehouses, merchantiles, mills and factories spaces longtime businesses were moving away from. 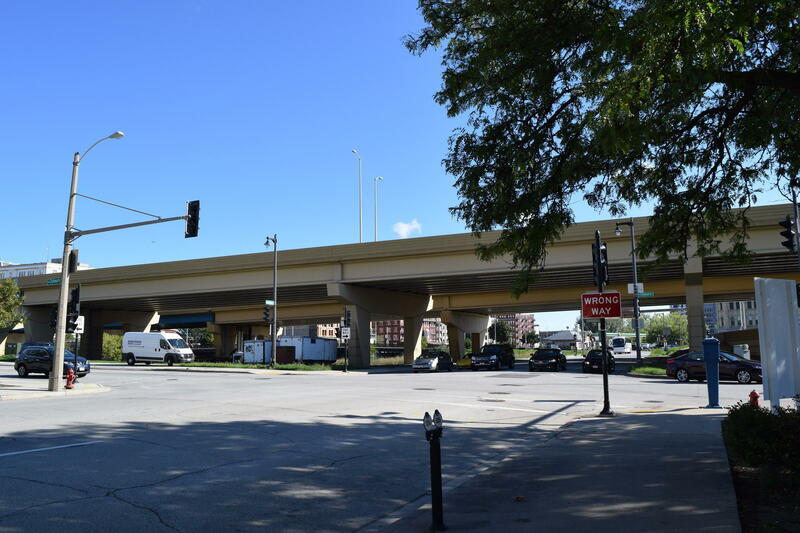 What was once the first known neighborhood with gay bars on Plankinton Avenue was torn down to make way for the freeway system. The bars were active between 1949 and 1965 until dozens of city blocks were torn down to make room for a downtown freeway system, taking the first known gay neighborhood with it. As a result, new bars for the LGBT community moved further south. 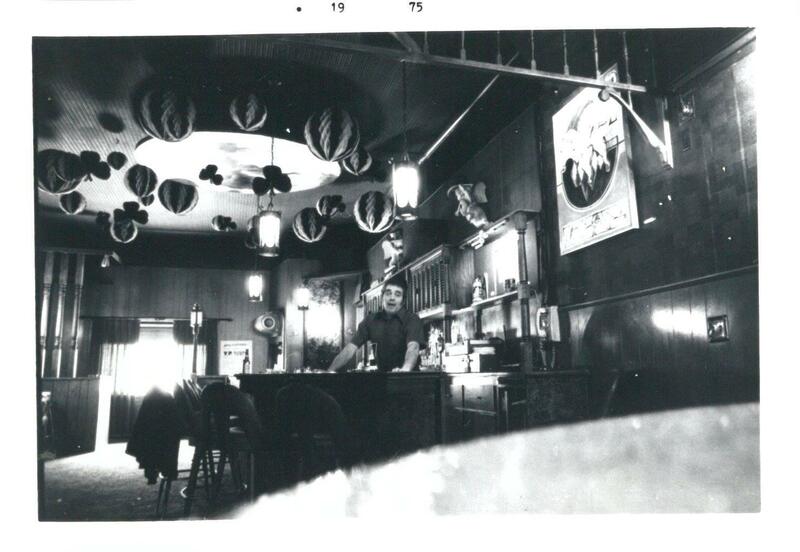 According to Takach, while gay bars in the area were thriving in 1974, The Milwaukee Journal warned its readers, "If you drive south on S. 2nd St. from downtown...it will appear as though you are driving into a canyon with no other way out." Takach notes that throughout Milwaukee’s history, gay bars were in fact everywhere. Destinations ranged from downtown, 12th and Vine, 19th and North to Capital and Green Bay Road. Author Michail Takach at D.I.X. Milwaukee, a gay bar in Walker's Point. Decades ago, Walker’s Point didn’t have a sense of place other than as an industrial operation with a diverse work force that came and went. Takach says that the rise of the gay bars in the neighborhood was not a surprising result of yet another area that was scarcely populated. "[Walker's Point] was the perfect place to hide in plain sight." “It really is not shocking that by the 1950 and 60s, this is where you start to see LGBT businesses in the form of gay bars showing up and starting to take hold, because by that time the neighborhood had become almost forgotten," he says. "It was the perfect place to hide in plain sight." Your Place, or YP, on 1st and National was the second gay bar that opened in 1965. During that time, gay bars had a reputation of being mafia run, seedy, dark, dangerous places. While some were like that, Your Place was actually a family operation run by a gay couple and their Hungarian immigrant parents. “They kept out the hustlers, they treated people much better than they expected to be treated, they welcomed people who had no families, no where to go on the holidays and they really created a community,” says Takach. William Wardlow, owner of Fluid bar on 819 South Second Street. Bill Wardlow has been the owner of the gay bar Fluid for 18 years. When it first opened in 1998, the neighborhood was mostly abandoned industrial buildings and bars. Now, as Walker's Point changes even more, Wardlow says that it has always been a gay neighborhood for the people who visit his bar. “I believe it is, yeah. If you’re gay and you want to come out and relax, whatever atmosphere you like, there’s something for you here," he says. Wardlow notes that while being gay-friendly once made Walker’s Point distinctive, most neighborhoods in Milwaukee can claim that today. “I think every place is pretty much gay-friendly now. Every bar has something different for you, whatever that is. And that’s what I like about Walker’s Point and that's why I've stayed here. Everybody's really cool and I feel welcome." However you may define a neighborhood, Takach says there’s no doubt that the LGBT community has held a place in Walker’s Point for much of Milwaukee’s history. The building that is home to La Cage in the 1960s (left) and today (right). With the start of the new school year, WUWM's Bubbler Talk probes a school-related question. Asker Mike Osowski wants to know the story behind Bay View High School's many stone faces. More than 160 of them adorn the building, with most along its upper edge, but others around the doorways. There may be even more concrete faces, those were just the ones we were able to count. Others may be hidden, due to the addition MPS tacked onto the school in the mid-1970s. Is There a Waterfall in Menomonee Falls? This week's Bubbler Talk question is a simple one. Danica Herritz asked: Is or was there a falls (some sort of waterfall) in Menomonee Falls? Lake Effect turned to Nancy Greifenhagen, board member of the Menomonee Falls Historical Society, for the answer. Greifenhagen says there are actually two waterfalls in the Waukesha County village.